There are a number of reasons Warner Bros. isn’t considering a release of the Zack Snyder Cut of Justice League, but one of the more interesting revelations to come to light suggests they’re holding it back to allow for some of Cyborg’s backstory to be repurposed for a solo Cyborg movie. After promising for months following Zack Snyder’s departure from the project that replacement director Joss Whedon would honor Snyder’s original intent, Justice League was released to reveal a Frankenstein movie that clearly abandoned the style and story set out by Snyder in his previous films and early Justice League trailers. In Justie League’s fallout, much of the debate about the Snyder Cut has focused on whether or not it actually exists, but there are other factors at play, too. Assuming it does exist, Warner Bros. holds the distribution rights and has no plans to release it any time soon. It’s not clear exactly how far along VFX was for the scenes that were drastically different from the theatrical version (deleted character origins, the League vs Superman in Heroes Park, and the third act battle being the biggest known departures), but it was at least underway. There’s also the matter of music. Junkie XL suggested in an AMA on his YouTube channel that he planned to begin recording in June or July 2017, but he was fired partway through June, so there may not be completed versions of his score out there, but he almost certainly has them written with non-final recordings, but the actual film versions of the score are probably incomplete. The debate on this topic seems to be on two different topics, with those saying it doesn’t exist seemingly indicating that a completed and ready to distribute cut doesn’t exist (which is true), while most supporters are indicating that a cut with significant work completed is out there, as Justice League storyboard artist Jay Oliva has indicated a number of times. The other point of confusion is how different the Snyder Cut actually is. 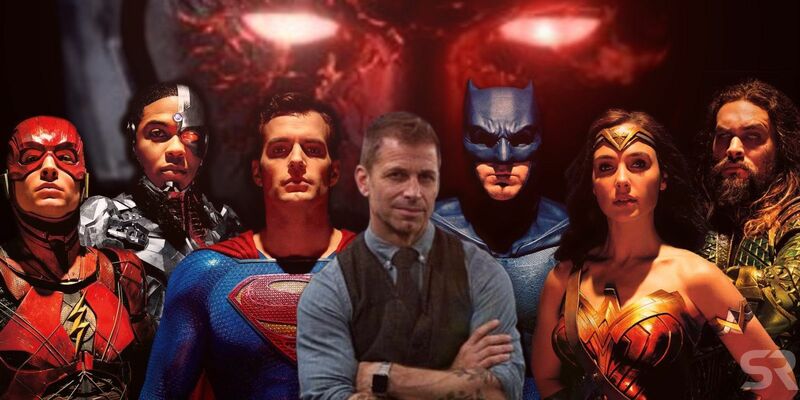 Zack Snyder got final director credit and the cast and crew spent most of the marketing push claiming the movie still adhered to Snyder’s vision, leading many to say that the cut released in theaters is the Snyder Cut. We know better now, though. Between deleted scenes, VFX reels, interviews with cast and crew, and teases from Snyder himself, it’s clear that the movie was significantly changed from the story to the visual aesthetic, with one of the biggest changes being the character of Cyborg. 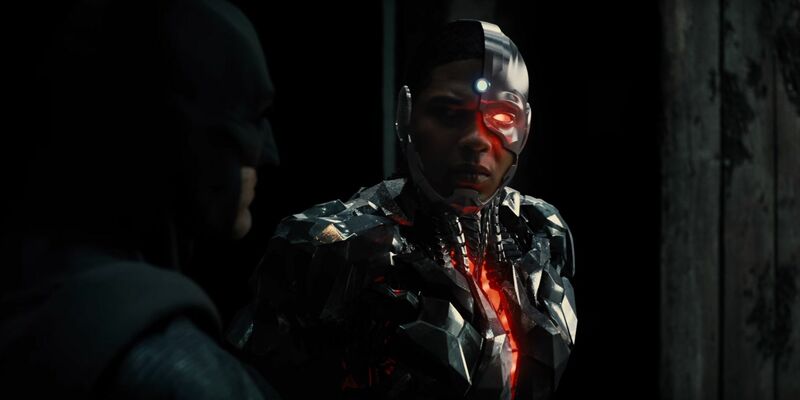 Before he left the project, Snyder hyped up Vic Stone’s role, saying Cyborg was “the heart” of the movie. During reshoots, there were rumors that Cyborg was being reshot to lighten his character up. 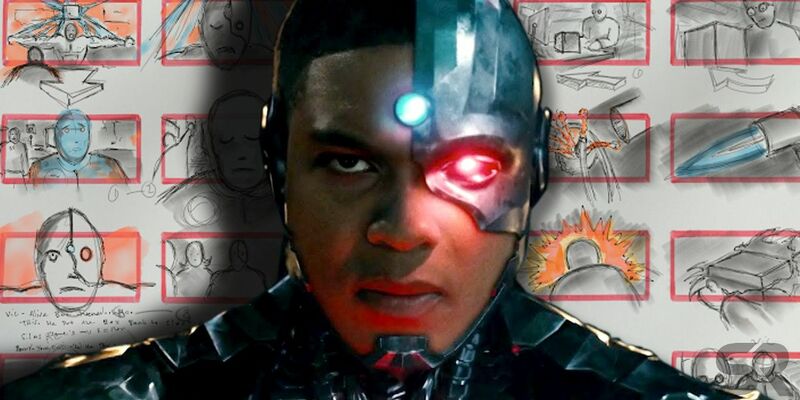 There’s some significant backstory cut from Cyborg per both deleted scenes and leaked storyboards, and Silas Stone actor Joe Morton also confirmed Cyborg’s story was changed significantly, which might be why Ray Fisher seems to like sharing the love for Zack Snyder when he can. 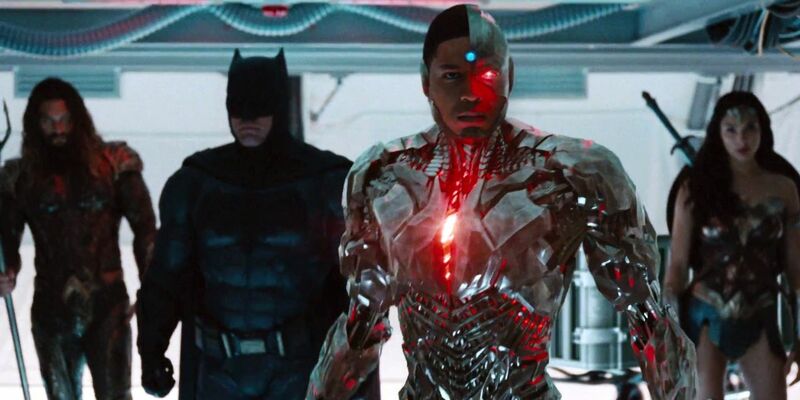 While Cyborg’s part in Justice League may have been mostly slashed, Joe Morton recently indicated that the story from those deleted scenes could still appear in the Cyborg solo movie. Given, Morton is just an actor, so he’s hardly a decisionmaker in this case, but it’s still an interesting proposition. And, if it’s true, could be another reason Warner Bros has no plans to release a Snyder Cut. To be clear, there are a number of other hurdles the movie faces before WB will want to release it. There’s the expense to finish VFX, music, and etc., potential continuity issues with the universe going forward, lack of potential profit, and the fact that Warner Bros. wants to focus on the future, not the past. But the possibility of a Cyborg movie reusing the cut Cyborg plot from The Snyder Cut is another potentially interesting angle. 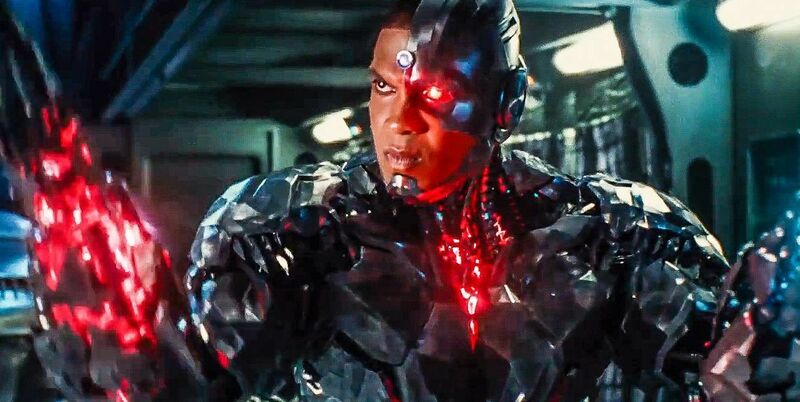 Given, a Cyborg movie probably won’t focus on Steppenwolf, Mother Boxes (outside of the fact that he’s made from one), or the rest of the Justice League, cut plot points for Cyborg include his football career, his relationship with both his mom and his dad, the accident that made his transformation into Cyborg necessary, his discovery of his powers, and more. All perfect fodder for an origin story. The movie may or may not reuse the exact same footage, but if the story is similar enough, that’s something that would be smart to preserve for the Cyborg movie instead of spoiling it years ahead of time, potentially ensuring the Cyborg movie doesn’t even happen after all. While there may be more people clamoring for the Snyder Cut than a Cyborg movie, the latter has better box office chances at this point. Justice League is the lowest grossing DCEU film, and a re-release of an alternate cut will never see the same marketing push or wide release as the first run, meaning it’s a box office non-starter. It may have home video and streaming potential, but that’s it. The fact that it would also cost money to get in shape for that release doesn’t make it very appealing for Warner Bros.
Cyborg, on the other hand, could have fresh box office potential. He’s not a character with a huge draw right now, but neither was Black Panther just a few years ago. It’s doubtful Cyborg has that same potential as Black Panther, but Marvel’s success shows just how much of a market there is for non-white heroes. Social and demographic draw aside, Cyborg would likely be a significantly lower budget than Justice League, meaning its profit opportunity is much higher than the Snyder Cut. It’s certainly not the only thing blocking a potential Snyder Cut, but it does show just how complicated the matter actually is. Many fans are operating under the assumption that WB’s refusal to release the Snyder Cut is strictly a stubborn one, but if the franchise’s future films (The Flash could very well be in a similar situation, as Barry Allen also had cut backstory) are going to utilize any of the abandoned Snyder Cut, then it makes a lot of sense that the studio wouldn’t even consider releasing it until the stories for those movies are finalized. This will likely be frustrating to hear for anyone hoping for a Snyder Cut release in the near future, but with Warner Bros. looking to continue moving forward with its packed future slate as opposed to looking back for a redo of the universe’s lowest point, fans are probably looking at a situation more akin to Superman II‘s Donner Cut, with the product not being released for a number of years.